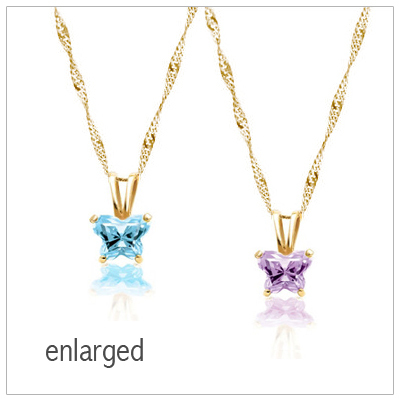 Gorgeous birthstone necklaces with sparkling genuine birthstones. Choose a traditional birthstone pendant in 14kt gold with a 4mm stone, or choose a newer bar-style necklace in sterling silver. 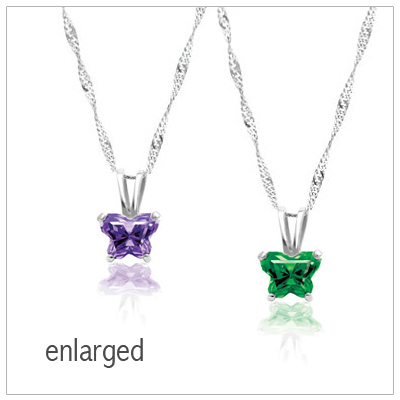 These birthstone necklaces are perfect for preteens, teens, and adults. 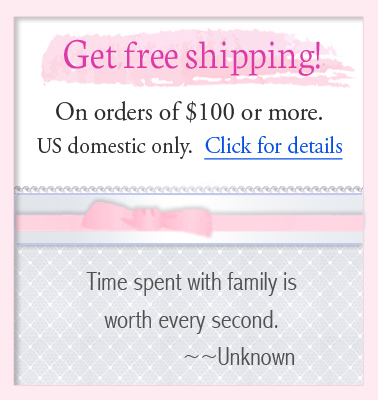 All of our jewelry comes beautifully packaged to make your gift special. Adorable butterfly shaped necklace with faceted cz birthstones.10kt gold chain included. Beautifully faceted cz birthstone set in 10kt white gold. 14 inch white gold chain included. Diamond and garnet birthstone necklace. Gold chain included. 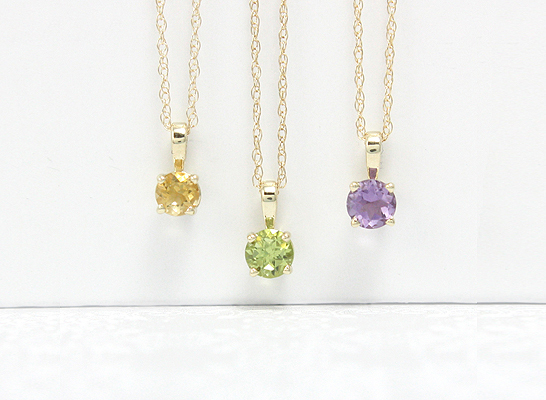 Birthstone jewelry for January. Diamond and amethyst birthstone necklace. Gold chain included. 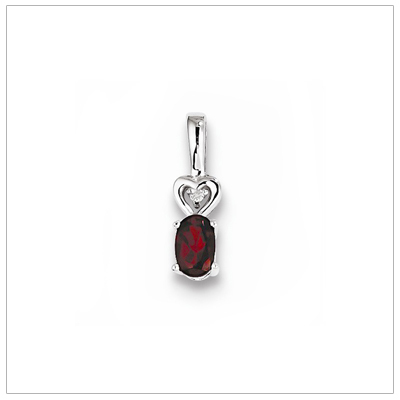 Birthstone jewelry for February. Diamond and aquamarine birthstone necklace. Gold chain included. Birthstone jewelry for March. Diamond and white zircon birthstone necklace. Gold chain included. Birthstone jewelry for April. Diamond and emerald birthstone necklace. Gold chain included. Birthstone jewelry for May. 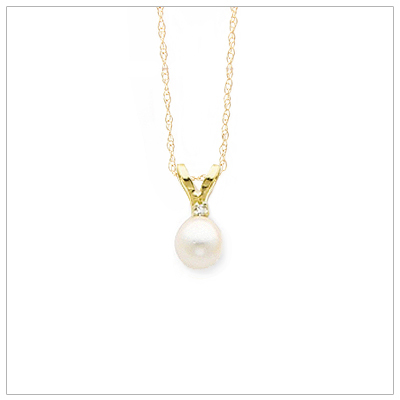 Diamond and cultured pearl birthstone necklace. Gold chain included. Birthstone jewelry for June. Diamond and ruby birthstone necklace. Gold chain included. Birthstone jewelry for July. Diamond and peridot birthstone necklace. Gold chain included. 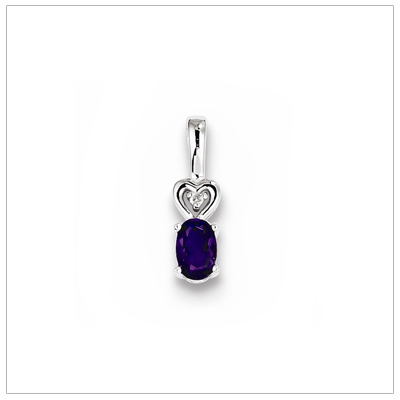 Birthstone jewelry for August. Diamond and sapphire birthstone necklace. Gold chain included. Birthstone jewelry for September. 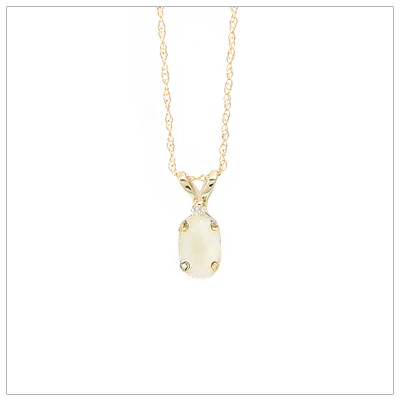 Diamond and opal birthstone necklace. Gold chain included. Birthstone jewelry for October. Diamond and citrine birthstone necklace. Gold chain included. Birthstone jewelry for November. Diamond and blue topaz birthstone necklace. Gold chain included. Birthstone jewelry for December. Sterling silver January birthstone necklace with diamond. Available in 3 chain lengths. 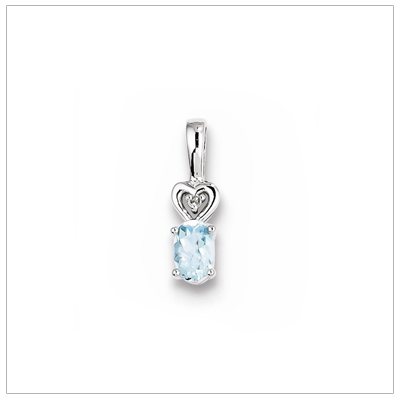 Sterling silver February birthstone necklace with diamond. 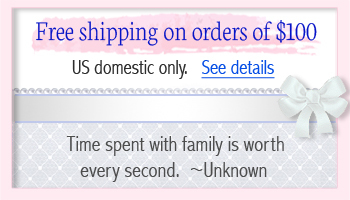 Available in 3 chain lengths. Sterling silver March birthstone necklace with diamond. 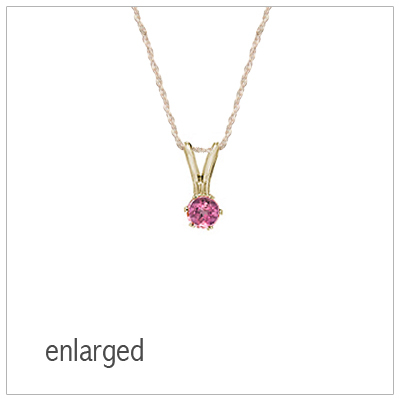 Available in 3 chain lengths. 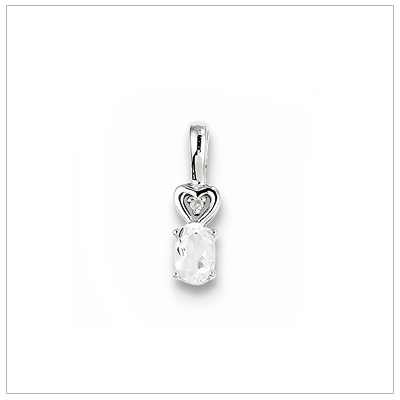 Sterling silver April birthstone necklace with diamond. Available in 3 chain lengths.